An HVAC engineer may be responsible for numerous job duties relating to heating, ventilation, and air conditioning systems. Functions may include installation, maintenance, and designing systems for use in residential or commercial locations. Engineers may be charged with creating or improving HVAC systems as well as working directly with dedicated installers or repair workers. A quality objective statement is necessary to display not only your knowledge and experience, but also your qualifications as an effective communicator. Describe any existing professional experience you’ve attained in the field as well as your formal education in engineering or other relevant disciplines. It’s also recommended to discuss more generalized traits which make you an ideal candidate, such as attention to detail, complex problem-solving skills, and refined ability to communicate with clients as well as colleagues. Highlight your knowledge of software applications pertinent to the industry, comfort in analyzing blueprints and schematics, and general familiarity with electrical, plumbing, and related mechanical systems which may impact HVAC projects. Your objective statement should concisely describe your key qualifications for the position while also displaying a sense of genuine interest in the company which you’re applying to work with. 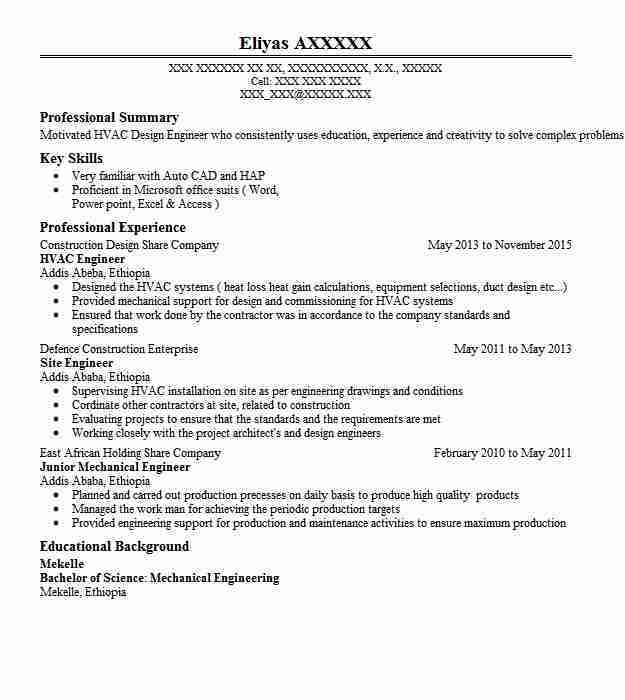 Always reference the business by name in order to avoid the appearance of a boilerplate resume. 1. 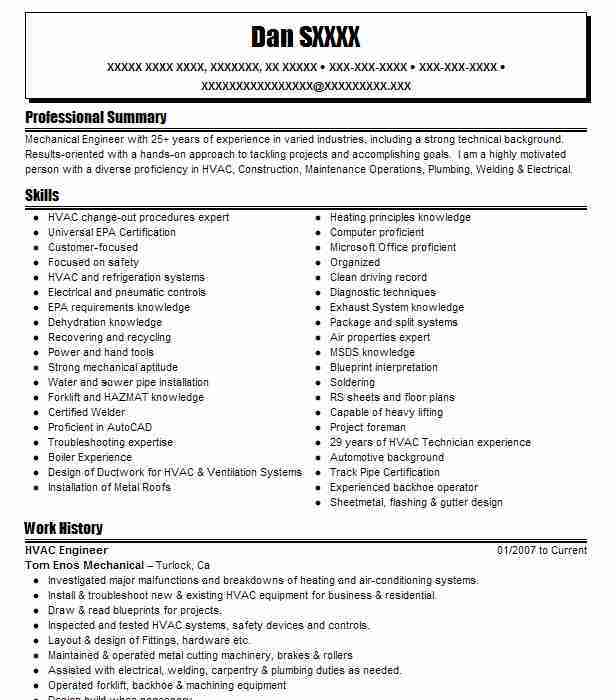 Seeking HVAC engineer position with ABC Company to utilize strong background in residential and commercial installations and bachelor’s degree in mechanical engineering. 2. 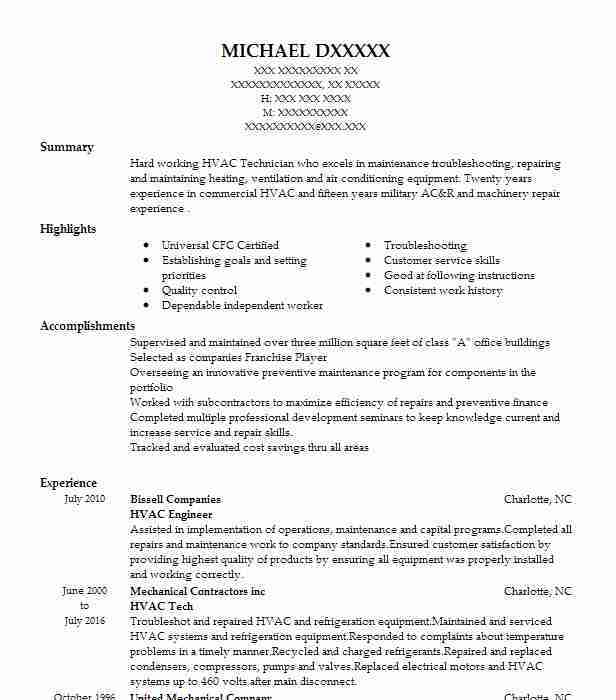 Skilled HVAC engineer seeking employment with ABC Company to employ strong analytical and problem-solving capabilities and comprehensive knowledge of industry-standard software applications. 3. Experienced HVAC worker seeks engineer position at ABC Company that will benefit from four years performing repairs and installations in buildings of all types and sizes. 4. Detail-oriented individual seeks HVAC engineer position at ABC Company which will allow utilization of bachelor’s degree in mechanical engineering and strong knowledge of computer-aided drafting software. 5. 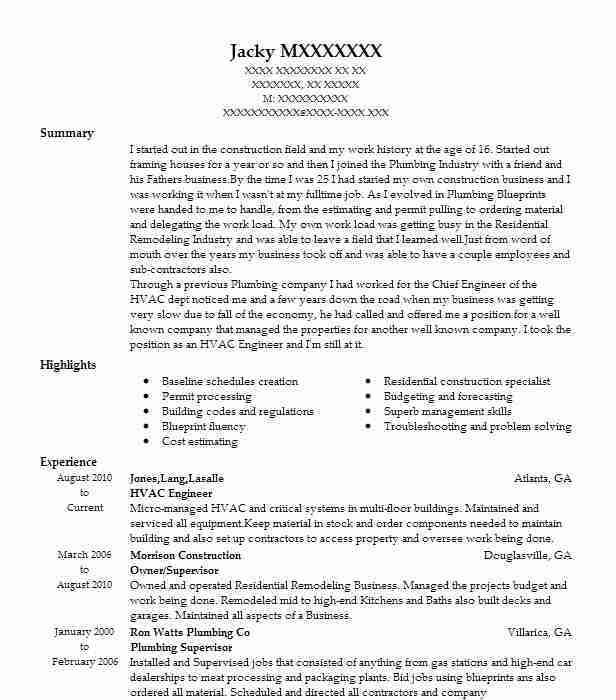 HVAC engineer seeks to continue successful career with ABC Company offering three years of on-the-job experience, bachelor’s degree in mechanical engineering, and keen focus on performing detailed work. 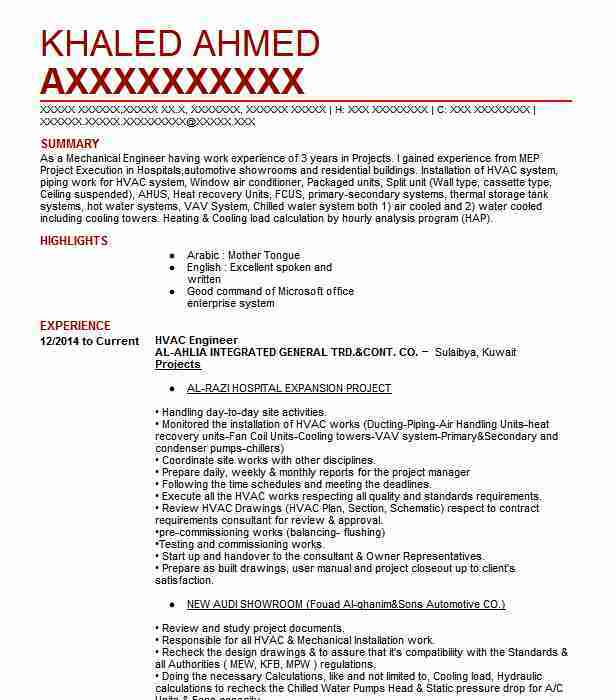 HVAC Engineer @ AL-AHLIA INTEGRATED GENERAL TRD.&CONT. CO.